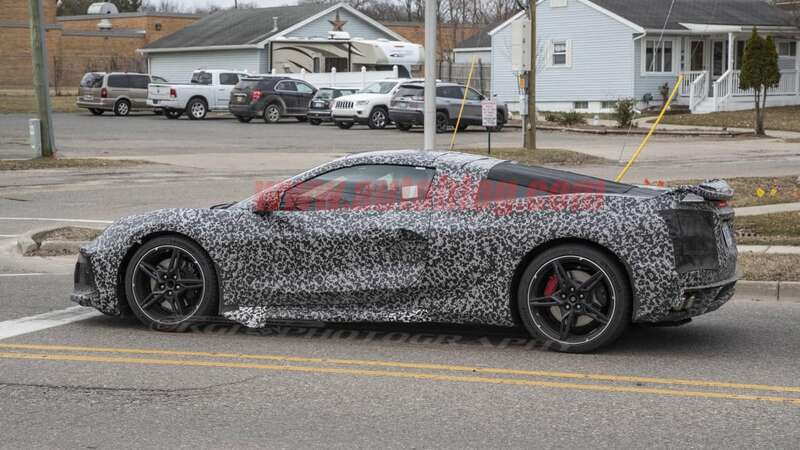 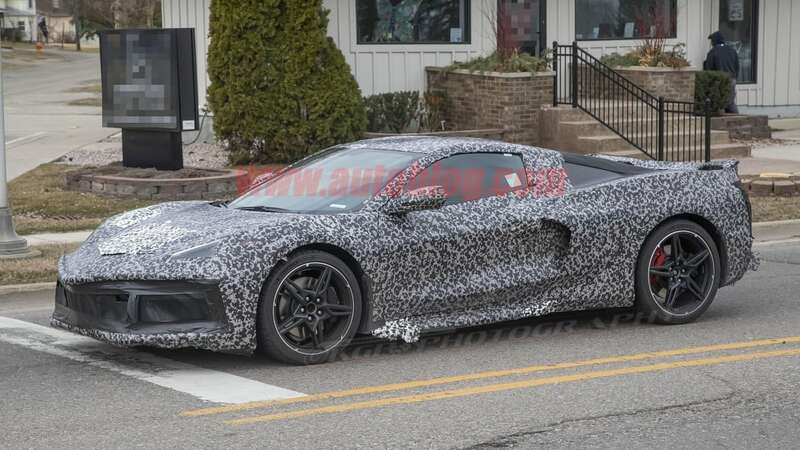 We've been staring at the outside of Chevy Corvette C8 test cars for years now, and longer than expected after technical issues, so it's a wonderful break to finally get a look inside the car. 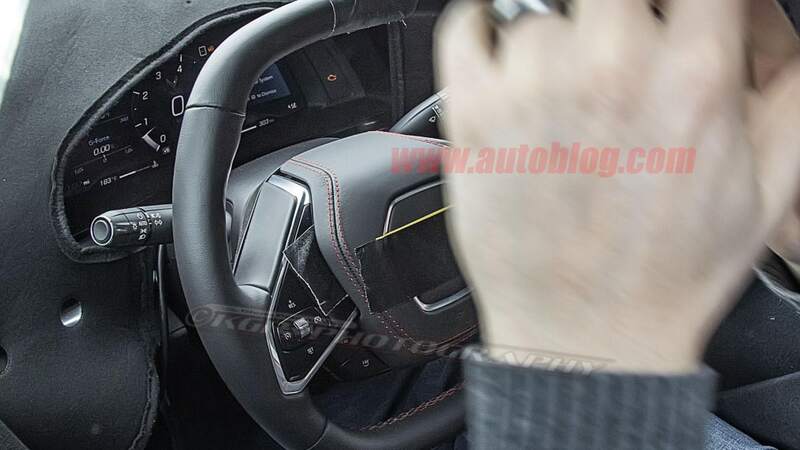 The shots we have today give us a look at the steering wheel and instrument cluster. 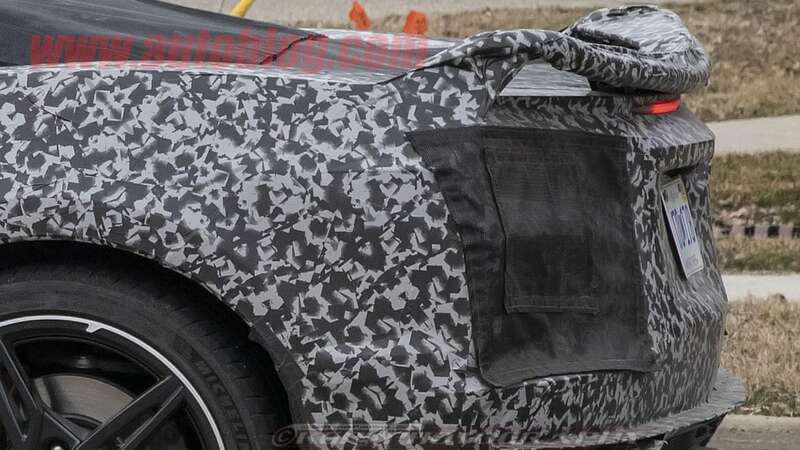 Unfortunately, most of the rest of the interior was obscured, but there are still interesting things to see. 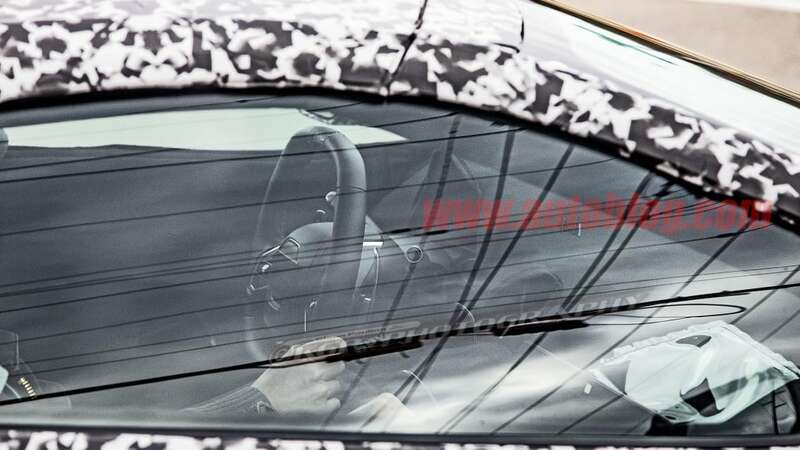 The first thing to note is the distinctive two-spoke steering wheel. 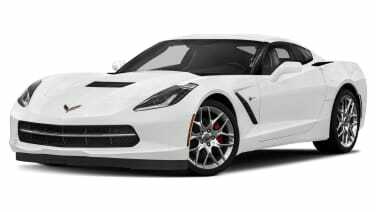 The center and spokes form a sort of boomerang shape. 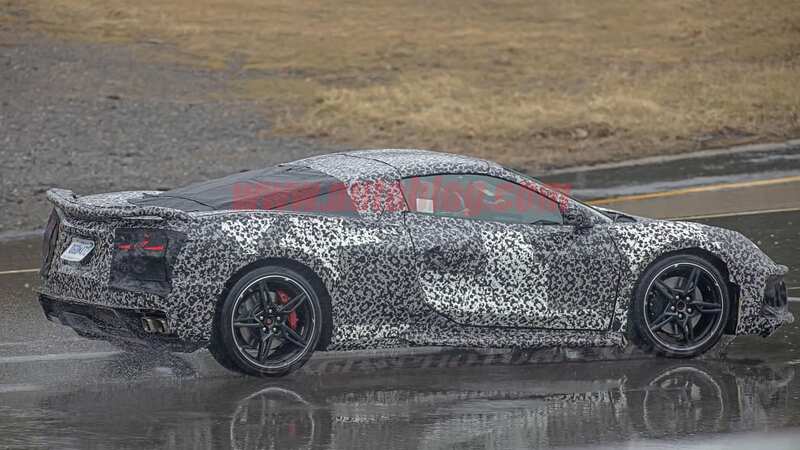 The top and bottom of the wheel are flat, and it has an almost hexagonal shape. 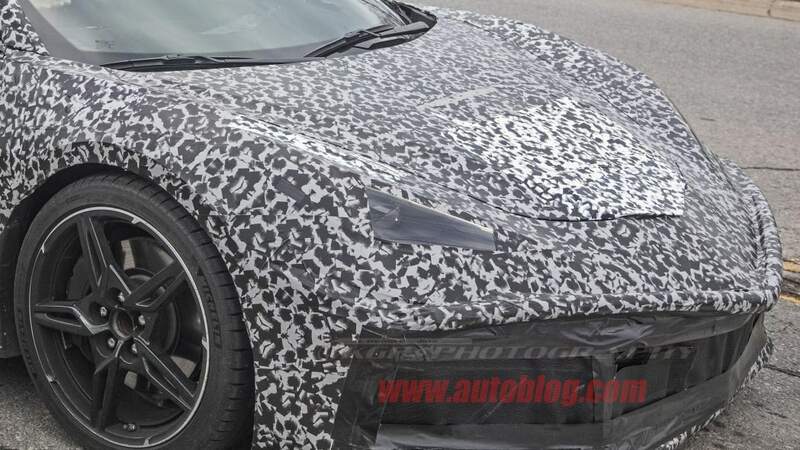 The buttons on the wheel are arranged similarly to other GM vehicles, but they seem to be made from nicer materials and in shapes unique to the Corvette. 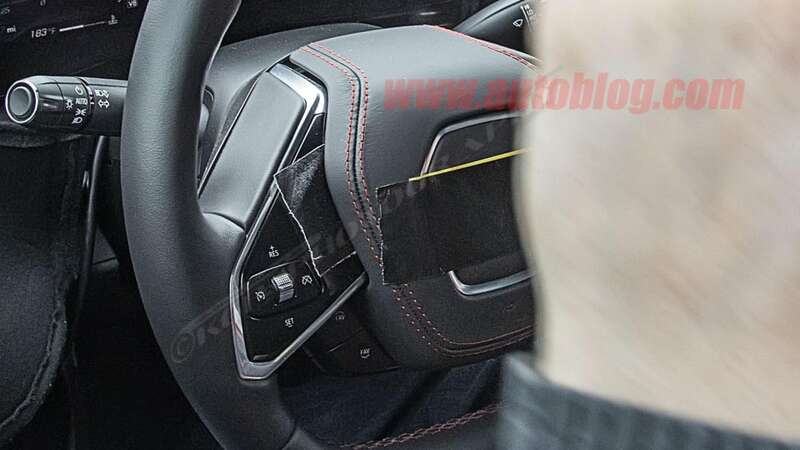 There are also shift paddles that look to be aluminum. 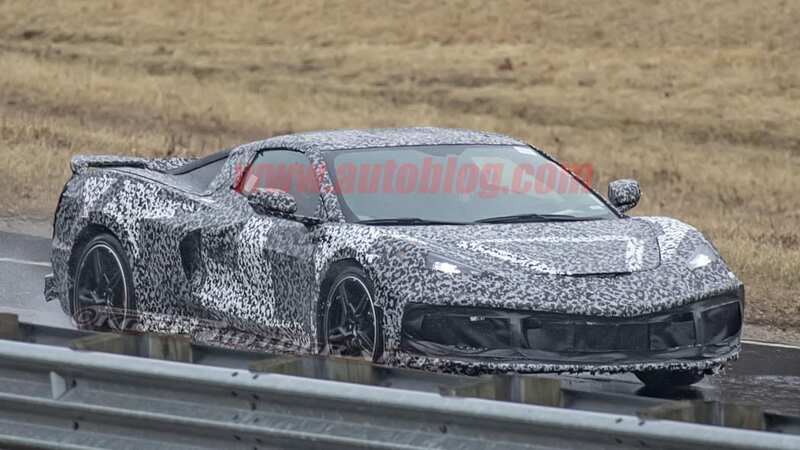 These aren't too surprising, since it seems the new Corvette may only offer a dual-clutch automatic transmission. 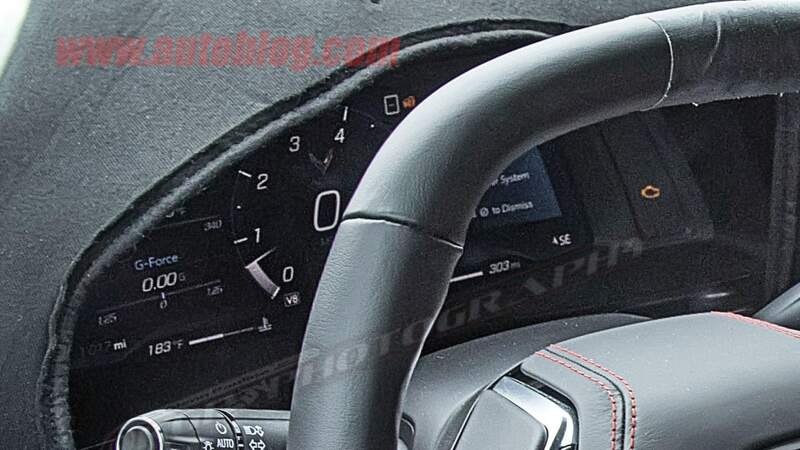 Also noteworthy is the instrument cluster screen. 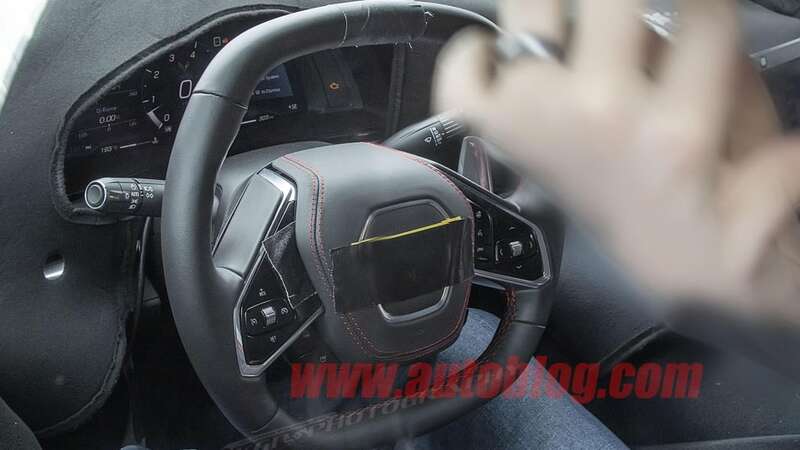 It will probably be configurable like so many other luxury and sports cars with instrument screens, but this setup shows a big analog tachometer right in the middle, with ancillary readouts such as G-force on the sides. 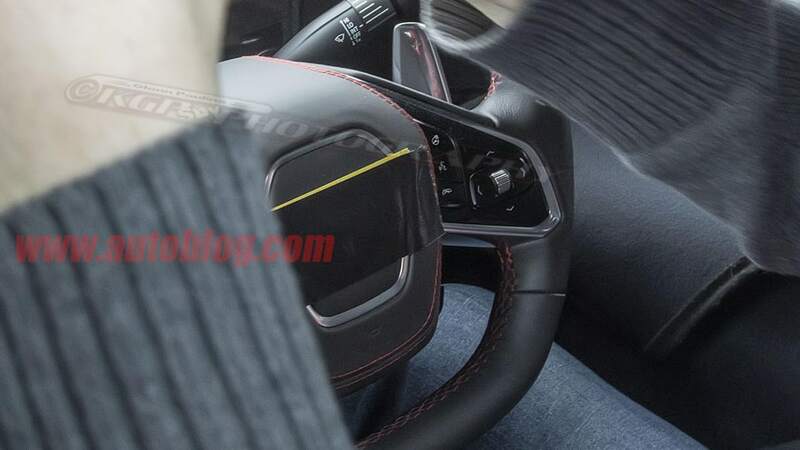 Fuel and temperature gauges are at the bottom. 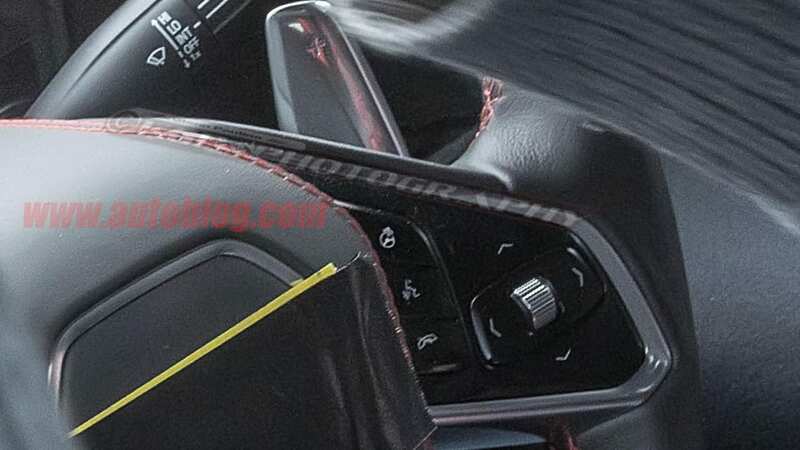 Over on the right is a bank of dedicated warning lights, evident by the illuminated "Check Engine" light. 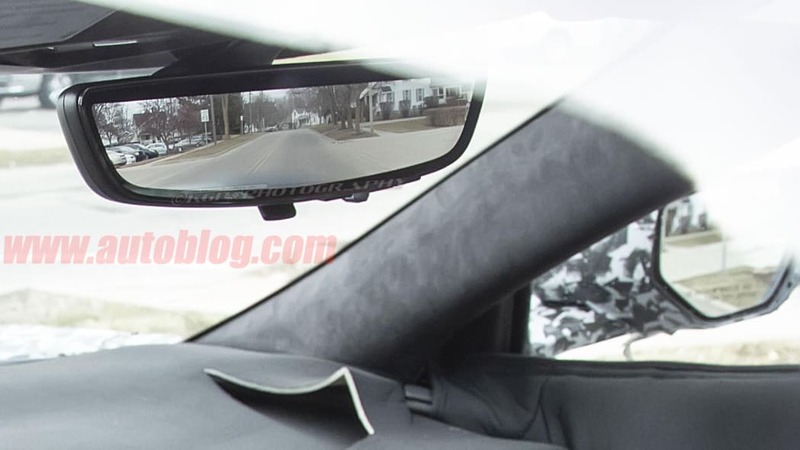 Finally, we also get a look at the rear-view mirror. 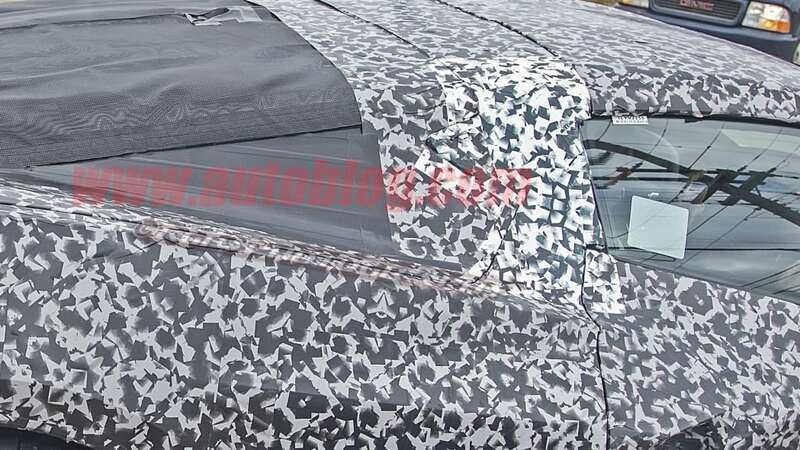 It appears to be functioning as a rear-view camera display like those found in Cadillacs. 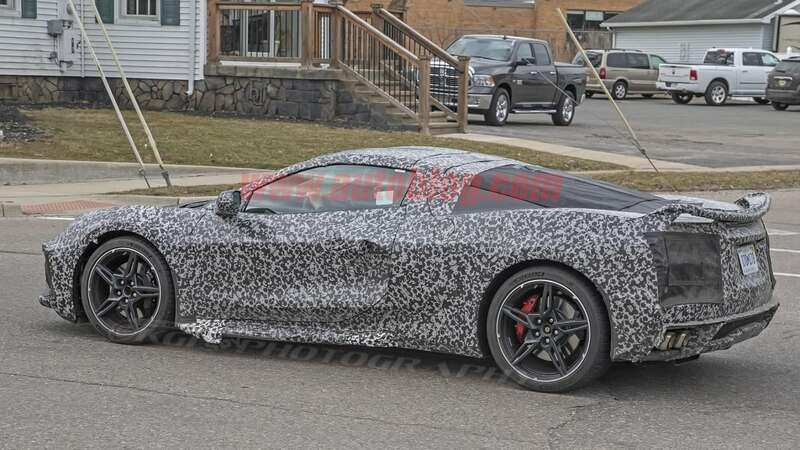 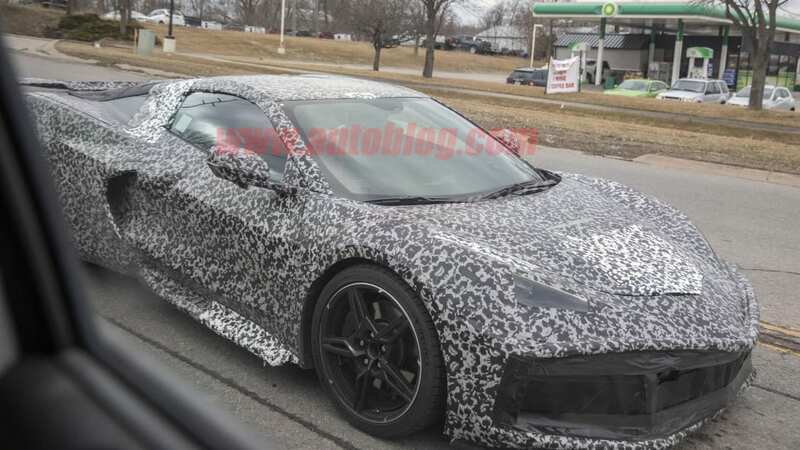 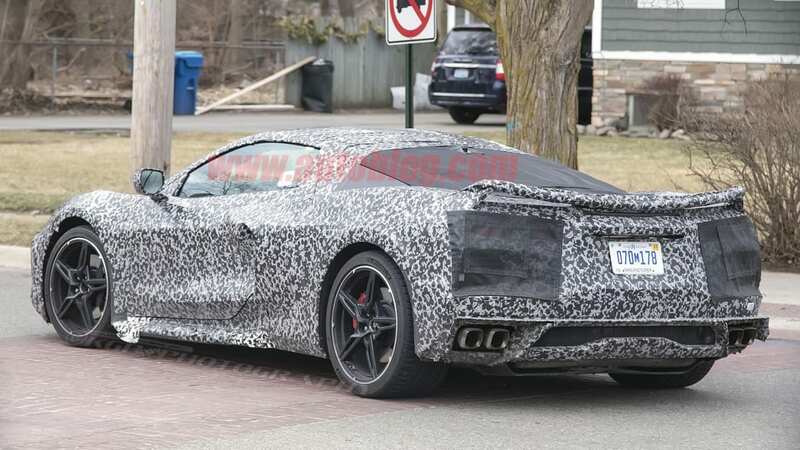 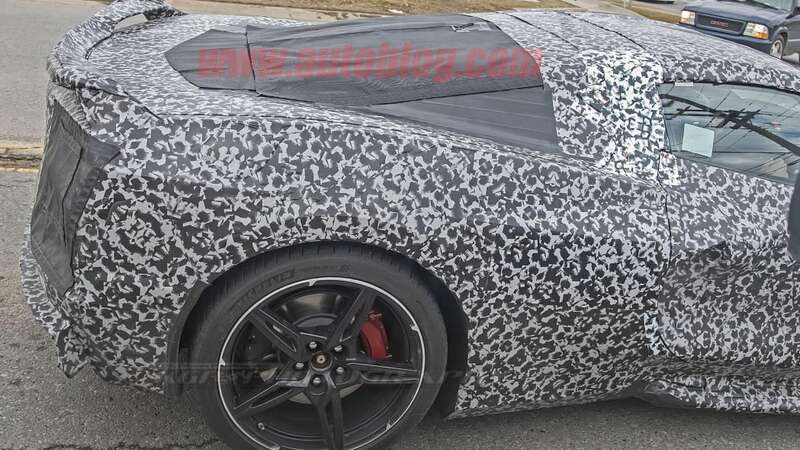 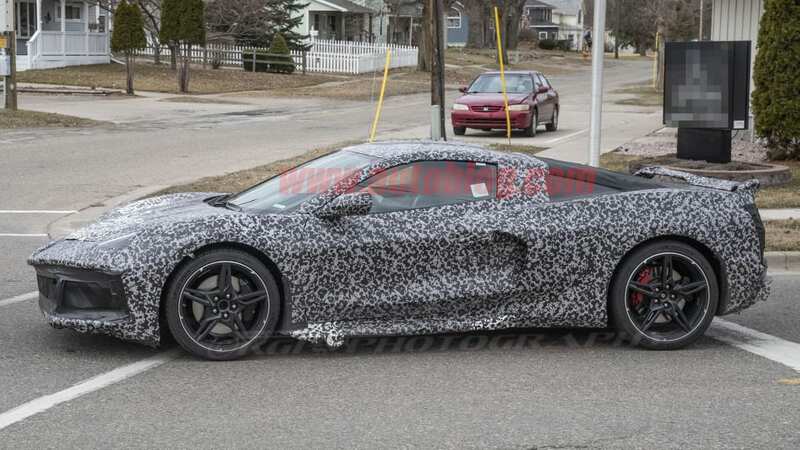 It could be a handy feature now that the Corvette is mid-engine and may have worse rear visibility.